In his speech at the January conference of the World Economic Forum in Davos, Switzerland, Prime Minister Shinzo Abe noted that while Japan’s labor force decreased by 4.5 million over the past six years, the employment of women and elderly people increased by 2 million each. As the nation’s population continues to fall, the government last year amended the immigration control law to accept more workers from abroad. But the foreign workers coming to Japan under the new program are expected to number only about 345,000 in five years. To achieve sustainable growth of the economy, a continued increase in the labor market participation of women and the elderly will be indispensable. In particular, there are hopes of greater roles for the elderly in the nation’s workforce given the rapid aging of the population and its increasing longevity. 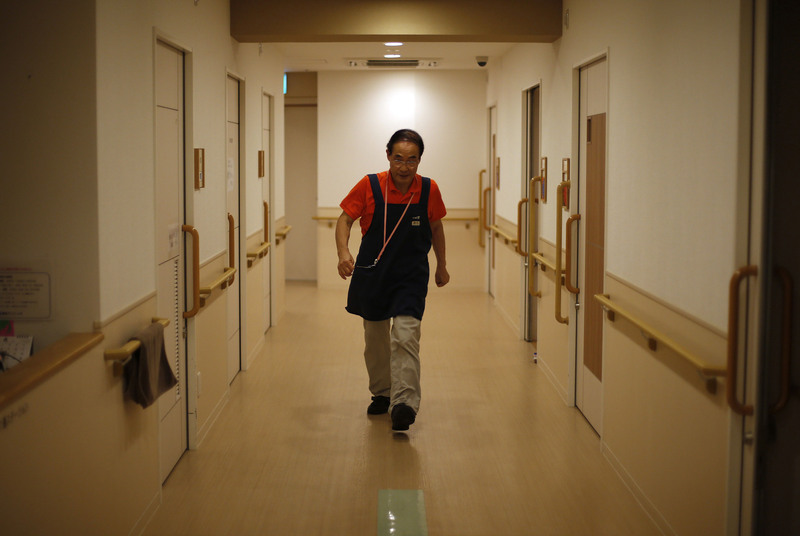 However, Japan has a set of peculiar problems in the employment of elderly workers. How has the employment of elderly population evolved in this country? The aging of Japan’s population has progressed at a speed much faster than that of other developed economies. The share of people 65 or older in the total population, which was slightly above 10 percent in 1990, has jumped to 26.6 percent as of 2015 — well above other mature economies such as Germany (21.1 percent) or France (18.9 percent). The elderly accounted for 11.8 percent of the nation’s total workforce in 2016, compared with 7.8 percent in 2006. The ratio of people with jobs among those in the 65-69 age bracket also surged from 35.7 percent to 44 percent over the same period. But an overwhelming number of elderly employees are rehired as irregular workers, not as full-time staff. While the ratio of irregular workers is 12.8 percent among those aged 55 to 59, the corresponding rate shoots up to 72.1 percent among those aged 65-69. Several surveys show that their pay is reduced to 50-70 percent of what they used to earn as full-time regular employees, which is a big problem. Before they reach the mandatory retirement age, regular employees are covered by the seniority-based wage system. But when they pass the retirement age, they are thrown off the framework and are only paid wages that correspond to their productivity. Behind this problem is the dual structure of Japan’s labor market, in which workers are divided into regular employees and irregular workers. 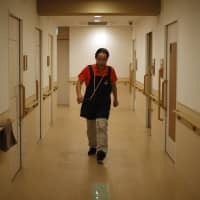 In trying to expand the employment of elderly workers, these uniquely Japanese employment practices also need to be reformed. The conventional employment system in Japan had two major characteristics: lifetime (or long-term) employment and the seniority-based wage system. These practices took hold after World War II. While initially the growth expectations of Japan’s economy was quite high, both the quality and quantity of the nation’s higher education institutions were far from satisfactory. That prompted businesses to devise a system in which they would hire young workers and invest in their education and training. To retain the manpower in whose education/training they have thus invested, the companies needed a system to keep them employed over a long period. For that, the workers needed to be hired under a system that would benefit more in wages or promotion the longer they stayed with the same employer. That is the rationale for the long-term employment and seniority-based pay/promotion. But from the viewpoint of employers, providing stable employment over the long term means that manpower becomes a fixed expense. Therefore, when the economic environment radically fluctuated in recent years, employers turned more to hiring irregular workers so that they could flexibly fill their manpower needs. In Japan, labor system reforms have the potential to pave the way for greater roles for elderly workers in the workforce because they are willing to stay longer in the labor force. In a Cabinet Office survey asking people how long they would like to keep working, 42 percent replied that they want to do so as long as they can. In view of this situation, the government in 2012 amended the law for stabilizing the employment of the elderly to make it a mandatory for employers to provide some form of work to their employees through the age of 65, whereas companies were previously only required to try to keep the workers employed to that age. The companies are now required to either abolish the mandatory retirement system, raise the retirement age or introduce a system for rehiring the employees. The measure was taken to fill the employment gap until workers become eligible for receiving pension benefits at 65. According to a recent survey, 99.5 percent of the companies have introduced either of the steps required under the law. At the same time, only 2.7 percent of companies have abolished the retirement system and 16.1 percent raised the mandatory retirement age. The rest — 81.3 percent — rehire their employees when they reach the retirement age of 60, changing their status from regular full-time employees to irregular workers, which typically entails significant wage cuts. Today, expanding the employment of experienced elderly workers is all the more important in order to secure the manpower needed to sustain the economy’s growth. Such workers themselves hope to secure job opportunities with better conditions as they expect to live longer. Adapting to such a situation will require two things: First, workers should engage in vocational training to maintain high productivity before they enter their senior years. The system that provides recurrent education for workers must be improved. Second, the system in which companies reward their employees needs to change into one that gives more weight to their performance. This means that the divide between regular and irregular workers under Japan’s peculiar employment practices will ultimately disappear. That will also entail fundamentally reviewing the uniquely Japanese system of mandatory retirement.